Rfid blocking paper card sleeve is made of special 5 layers materials, it is ultra thin, waterproof and tearing resistant. 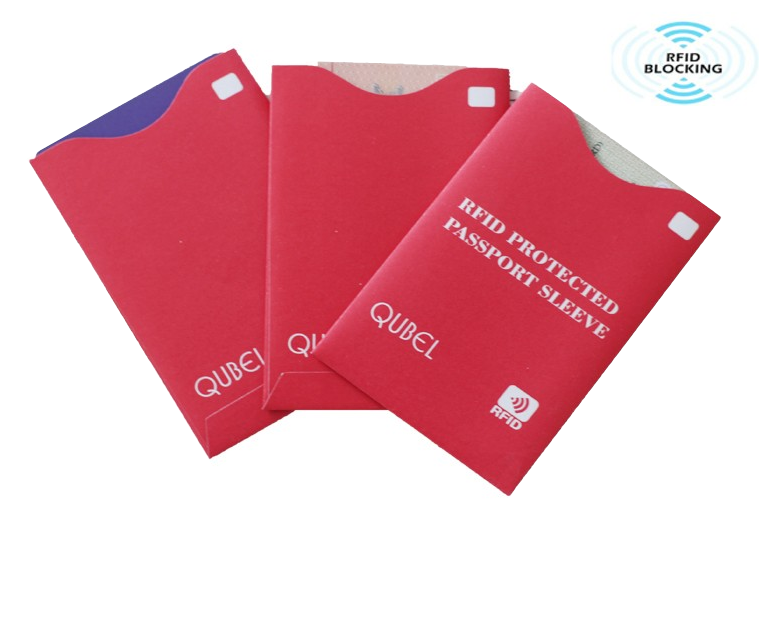 Rfid blocking paper card sleeve is an anti rfid scanning card set with special anti magnetic shielding material. It can prevent interference signal receiving and the protection of intelligent transportation card, IC card, IC debit card etc. 2000 Pcs/Ctn for credit card sleeve; 1000 Pcs/Ctn for Passport sleeve. Carton size: 40*20*28 cm; Weight: 5 Kgs/Ctn. Anti RFID scanning card set with special anti magnetic shielding material can prevent interference signal receiving; RFID card for the protection of diamagnetic, intelligent transportation card, IC card, IC debit card etc.